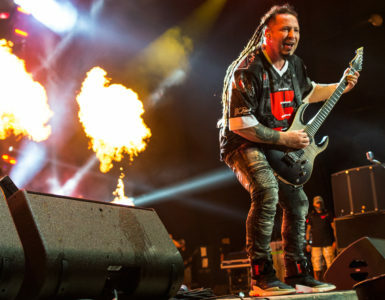 Nothing More rocked the Mattress Firm Amphitheater in Chula Vista, California on July 25, 2018 as direct support to co-headliners Five Finger Death Punch and Breaking Benjamin. Bad Wolves opened the festivities with an exciting show, full of energy. They really got the crowd going early and invited everyone to the pit to help kick it off. Their cover of The Cranberries “Zombie” is a huge hit, but the rest of their set was also powerful and impressive. This Los Angeles band looks like they will be around for a long time. Nothing More was up next and gave a huge performance for an opening slot, mixing up the tempos and delivering hit after hit. Every song they play has been on the airwaves. 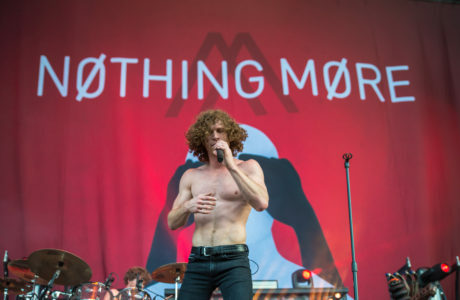 It won’t be long before Nothing More is headlining the summer rock tour, and bringing along the next generation of rockers. 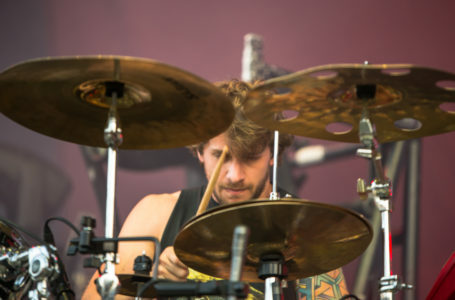 The boys from Texas brought ballads, screamers, and everything in between, including a full band drum solo featuring “The Scorpion”, their self-made hydraulic percussion monstrosity. The co-headliners alternate slots, and on this night, Five Finger Death Punch was up next. Always a dynamic live band, the Vegas crew stepped up their game with a huge stage show complete with lasers and fire. Ivan Moody is back in full force, sober and powerful, and not afraid to talk about it on stage. He asked who was in recovery, who knew someone in recovery, and pointed out that we are all in this together and can help each other through our struggles. There were great messages throughout this performance, not only in the music and stage candor, but on the awesome T-shirts worn by Ivan and the band. 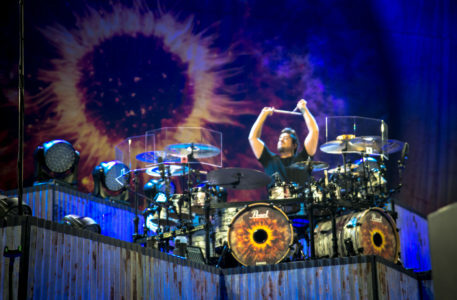 During the acoustic section of the show, a Navy sailor brought his electric wheelchair-bound friend into the pit for a slow circle mosh. As the music cranked back up, the guy kept circling, getting high fives and hugs from everyone around. 5FDP invited a bunch of kids and special fans on stage, most of them with the red painted palm print on their face. 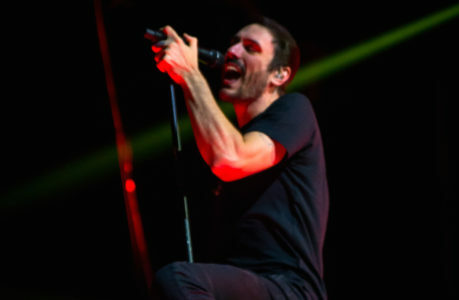 Breaking Benjamin had a massive job following all that had happened that night, but they delivered as they always do. They also engaged the fans in singalongs, and showed their appreciation for the support they have received during the second phase of their career. One highlight was a mosh-up medley including classics from Nirvana, Tool, Metallica, Pantera and Star Wars. They also brought kids on stage for the final song of the night, ‘The Diary of Jane’. Overall, this show was a testosterone-driven event with a strong brotherhood —not only with the pairing of the bands, but with the audience… from crowd surfing to the mosh pit to rocking out, everyone had a great time. Tagged Bad Wolves, Breaking Benjamin, Chula Vista, Five Finger Death Punch, live nation, Mattress Firm Amphitheater, Nothing More, San Diego.